A farmer arrives at a field day with his sheep, Ethiopia. Photo credit: ILRI/Zerihun Sewunet. Understanding adaptive capacity is a crucial component for undertaking climate change mitigation and adaptation actions. Adaptive capacity takes into account both social and ecological systems. Box 1 provides a brief selection of definitions . Adaptive capacity is related to both vulnerability and resilience. Low adaptive capacity generally leads to increased vulnerability, but resilience can increase adaptive capacity. One important difference to note between resilience and adaptive capacity is that adaptive capacity focuses more narrowly on skills and mechanisms that humans employ to adapt, where resilience focuses more on broad characteristics of a system. Many factors influence adaptive capacity including: institutions, social structures, power dynamics, access to resources, social and financial capital, knowledge and information. Indeed Cinner at al. (2018) propose building adaptive capacity over five domains: the assets that people can draw upon in times of need; the flexibility to change strategies; the ability to organize and act collectively; learning to recognize and respond to change; and the agency to determine whether to change or not. Different individuals and communities will have different adaptive capacities based on their context. It is important to evaluate the factors that contribute to adaptive capacities in particular contexts – and how those adaptive capacities differ even among the same communities – in order to avoid maladaptive outcomes. To be sure, adaptive capacity is not just about what a system has, it’s important to understand what a system does that makes it more or less able to adapt (WRI, 2009). Presented are two frameworks that provide useful visuals to help practitioners understand the factors that contribute to adaptive capacity. The Adaptive Capacity Wheel (Gupta et al., 2010) was developed to specifically assess institutional ability to promote the adaptive capacity of society and to be modified by society. The authors identify six institutional characteristics - fair governance, variety, resources, leadership, room for autonomous change, and learning capacity - that are further broken down. The Local Adaptive Capacity (LAC) Framework (Jones, Ludi & Levine, 2010) identifies five characteristics that will help practitioners conceptualise adaptive capacity at the local level and begin to understand the connection and opportunity for national-level policies to increase community or household-level adaptive capacity. CARE’s Adaptation Learning Programme for Africa's learning about gender dynamics and the ways in which CBA can increase adaptive capacity and promote gender equality is captured in a new brief: Gender dynamics in a changing climate: how gender and adaptive capacity affect resilience. It is based on evidence and practical experience of implementing community based adaptation (CBA) in several countries in Africa since 2010, and it identifies the factors shaping gender dynamics and adaptive capacity and gives examples of how to integrate gender into CBA approaches as well as outlining knowledge gaps and recommendations for policy and practice. In Kenya’s arid and semi-arid lands, livelihoods are dominated by pastoralism. 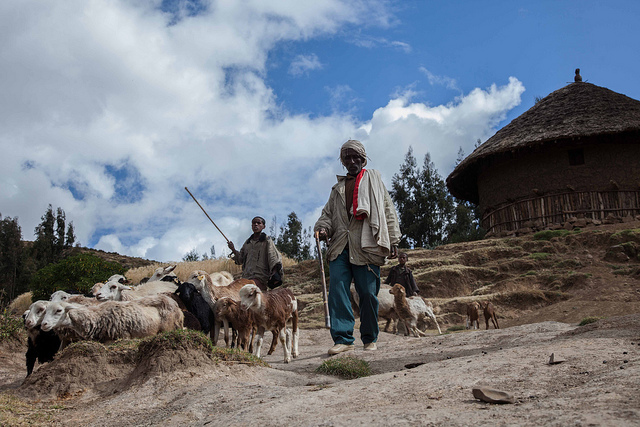 Pastoral communities are accustomed to dealing with drought and erratic rainfall and have traditionally utilized systems and practices that minimize the impact of climate-related shocks to their livelihoods. Recently however, the impacts of climate change have combined with other environmental, economic and political factors to create a situation of increasing vulnerability for poor and marginalized households. Analysis of vulnerability must go beyond exposure and sensitivity to climate impacts, to explore the different dimensions of adaptive capacity and identify barriers that communities face in applying their existing capacity to respond to climate impacts. This leads to identification of adaptation options that reinforce and build upon existing adaptive capacity. This article adds to that literature through reviewing studies undertaken in the Nordic countries and Russia, highlighting the ways in which general determinants of adaptive capacity play out in Northern, industrialised contexts. The paper illustrates that the determinants of adaptive capacity in industrialised states exhibit systematic differences from mixed subsistence-cash based communities such as those found in Arctic Canada. We discuss in particular the importance of economic resources in a market-based system, technological competition, and infrastructure, in determining adaptive capacity of natural resource-dependent communities in the Nordic countries and Russia. This research paper has taken the local adaptive capacity (LAC) framework as a starting point for analysing World Vision’s programming. Seven case studies have been selected from across Africa and Asia (Cambodia, Ghana, Ethiopia, Indonesia, Kenya, Vietnam and East Africa) which represent a range of different interventions including: social protection; food security; disaster risk reduction and livelihoods in rural, urban and conflict contexts.The aim is to uncover lessons, challenges and recommendations for development programming to build local adaptive capacity and contribute to child wellbeing. ACCRA uses a set of research and capacity building tools to promote pro-poor and participatory climate change adaptation (CCA) and disaster risk reduction (DRR) in planning processes. ACCRA’s earlier work showed that policymakers face difficult trade-offs in planning for a changing and uncertain future. Yet many development actors continue to plan for the near- term, with little room for manoeuvre or contingency. ACCRA therefore chose to focus on one specific characteristic of adaptive capacity in order to help decision makers and planning better prepared for the future: Flexible and Forward-Looking Decision Making (FFDM). Through engaging and supporting local communities, ACCRA seeks to help districts produce better plans in the face of future change and uncertainty.